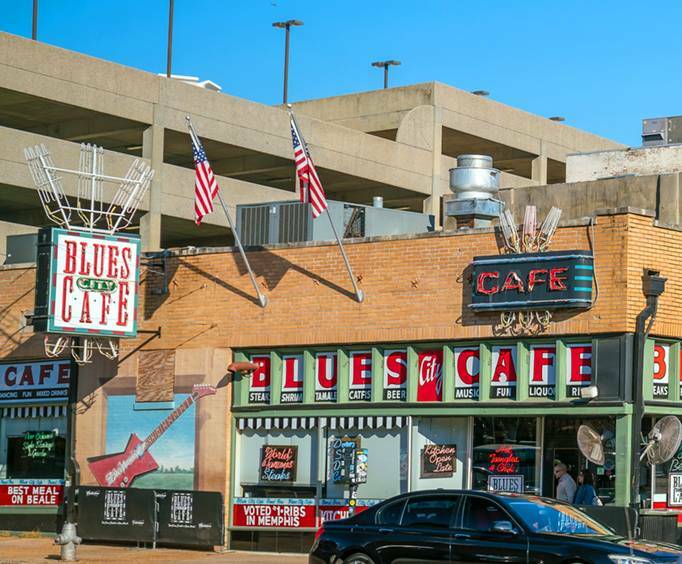 For a fantastic look into local life and culture of Memphis, embark upon one of the many different Memphis Guided Bus Tours that are offered in the area; with plenty of options, you can add one of these tours to truly capture the essence that is Memphis, TN. As well as single tours available through the company, tours are also combined to offer a unique experience that encompasses several of Memphis' most famous attractions. Whether you want to sail along on the Riverboat Tour or explore Elvis' home at Graceland, the Memphis Guided Bus Tours have you covered. Memphis City Tour: The Memphis City Tour is the perfect way to learn more about this historic and diverse city on your trip to the area. You will travel the city on a climate-controlled tour bus, and throughout the tour, enjoy interesting and insightful narration about the city's landmarks, history, culture, and legends. 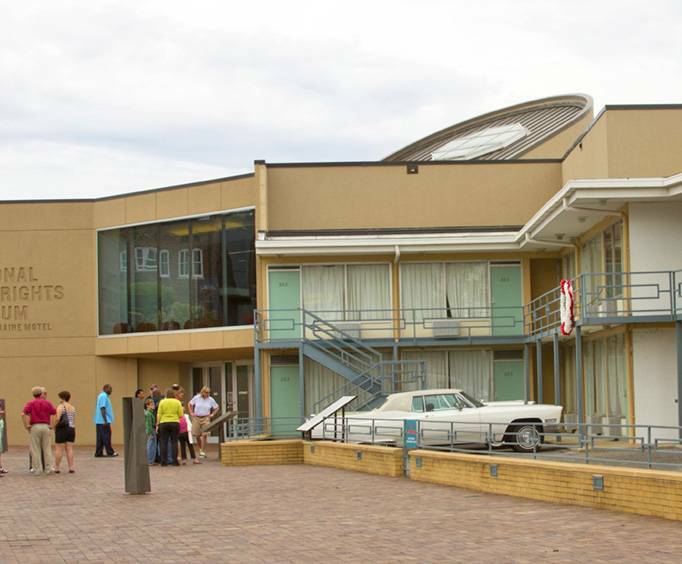 On this tour, you will drive by some of the most famous landmarks and destinations in Memphis in the downtown area, along the Mississippi River, and historic points such as the site where Dr&period; Martin Luther King Jr&period; was assassinated. You will make stops at the Schwab general store, which has been in business for over 130 years, and the tomb of Danny Thomas, founder of St. Jude Children's Research Hospital. This encompassing tour is a great way to really see the sites in Memphis in just a few hours. You'll stop at Beale Street, Victorian Village, Graceland, Sun Studios, The Pyramid, Cotton Row, Two Statues of the King and more. Get the chance to go inside Elvis' home on the Graceland Platinum Bus Tour, or do it all on the Combo Tour. Memphis City & Riverboat Tour: With this combination, you can enjoy everything great offered on the Memphis City tour as well as include the sights, sounds, and adventure of the Riverboat Tour. The Riverboat Tour itself includes a ride on the famous paddle wheel ship and offers guests some of the most stunning views of Downtown Memphis and informative narration about the Mississippi River and the story of Tom Lee. Memphis City & Elvis Graceland Tour: The perfect combo for any Elvis fan, visit the most historic places in the King's home city with the Memphis City Tour; then, embark upon the Elvis Graceland Tour for the true Elvis experience. The Graceland tour offers guests insight into the life of one of rock 'n roll's greatest icons with a tour of his mansion. Sights include the Jungle Room, Music Room, Trophy Room, and so many more. End the visit with a trip to the Memorial Garden and pay your respects to Elvis at his final resting place. Memphis City & Sun Studio Tour: This amazing combo tour allows guests to see everything awesome about the city. On the City Tour, you will be able to see the most historically significant places in the area before heading off to Sun Studio where Elvis recorded some of his most legendary music. No matter what you choose to do in Memphis, these tours offer great adventures to be had in the city. Book one today for a trip you won't forget. The music city bus tour was very convenient. They pick you up at your hotel and drop you off at your hotel. The tour gave us insight on areas of memphis that we would not have normally realized without the tour. Fun day. Great way to get a feel for the city and learn which places you want to go back and spend more time at. "The tour guide was wonderful." The tour guide was wonderful. Very informative and was able to handle the guests that are not so helpful. I loved her sense of humor and she really enjoys her job and loves to share her city!!! It was wonderful, from start to finish!! !